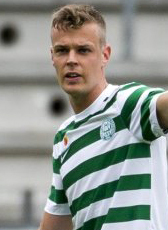 Jeroen Veldmate moved from Heracles Almelo to Viborg FF from Denmark in the summer of 2015. The club just got promoted to the Danish Superliga after finishing 1st in the Danish 1st division. Veldmate signed a two-year contract at Viborg FF. In March 2017 he was released from his contract. In July 2017 the defender joined FC Emmen for the 2017-18 season. He won promotion with his club to the Eredivisie but decided to sign a new 2-year contract at Go Ahead Eagles on second tier. Veldmate is under contract until June 2020.